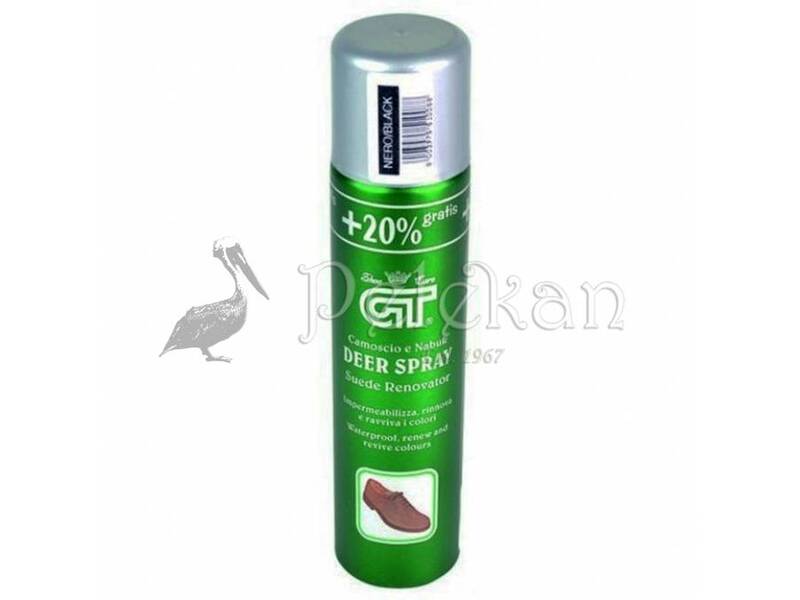 GT DEER SPRAY Suede Renovator. Waterproofs, renews and revives colours. Preservative and reforming agent suitable for all suede and nubuck shoes. Waterproofs, renews and revives colours. 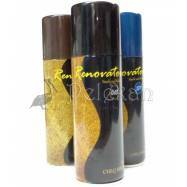 GT DEER SPRAY Suede Renovator is a preservative and reforming agent suitable for all suede and nubuck shoes. 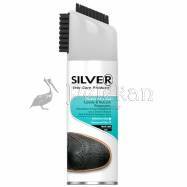 Restores colors that have faded away and offers your shoes a longer life span.